Growing up, movies weren’t so readily available. When I couldn’t watch Star Wars, I would read books and look at Topps cards to relive the story, when I wasn’t making my own adventures with my toys. DK Publishing is merging the adventures created with toys with the storybooks in LEGO Star Wars in 100 Scenes. The six Star Wars movies each receive a chapter to retell the story the movie utilizing LEGO bricks and minifigures. Each scene that is retold receives a double page spread with a box in the corner telling the story that occurs in the scene pictured. The pictures accurately retell the scene, but adding in a level of humor the children will appreciate. The pages are also littered with boxes that give some background about the Star Wars, the characters, and the LEGO used in the pages – as well as occasional commentary by C-3PO. The story as told in the book follows the stories of the original releases of each movie. No special edition scenes, story elements, or characters appear in the book, but they do acknowledge the existence of such scenes tangentially with a Han shoots first joke on the indicia page. All of the LEGO shown in the book are actual sets made by LEGO. Some of the rarer LEGO parts are pointed out in the book – like Cloud City Boba Fett – even if they are not all readily available at retail any more. The sets are accented with photoshop to add backgrounds, sound effects, and other effects, but never to the detriment of the toys pictured, and it does not make it look like there are toys that the children will beg for that don’t exist. 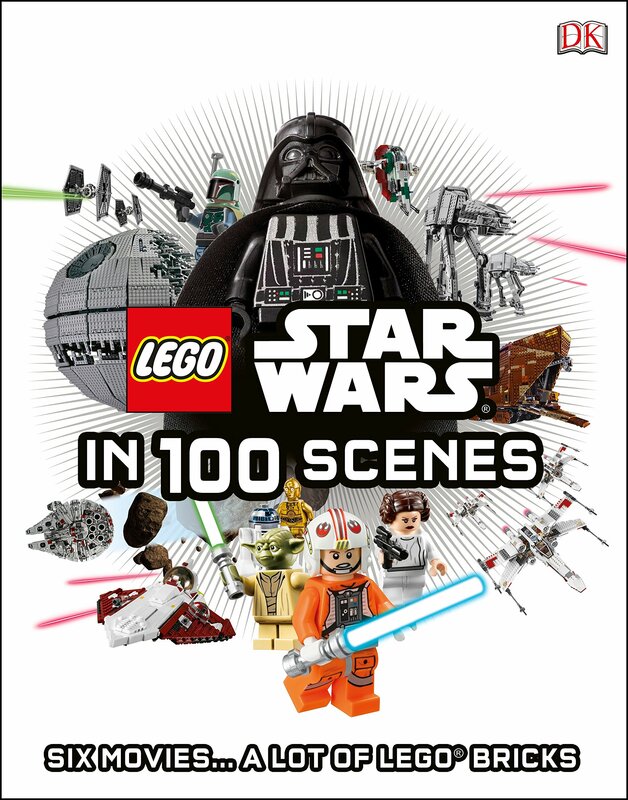 LEGO Star Wars in 100 Scenes is a great way for children to relive the two Star Wars trilogies. It will feed their imaginations to not only experience the movies in a new way, it will fuel their imaginations to recreate the scenes with LEGO and potentially create all new adventures for Han, Luke, and Leia.